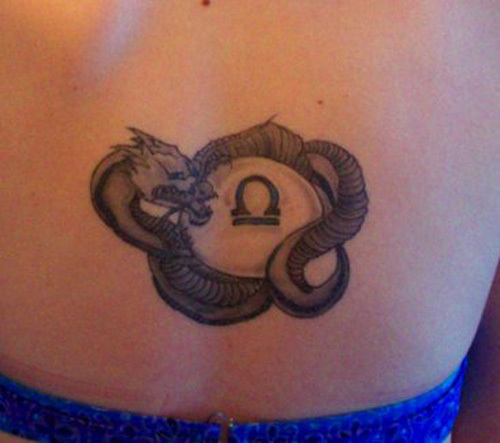 Getting your sun sign tattooed on your body has always been popular. If you believe in the Zodiac, then getting it on your body as body art makes a lot of sense. Generally, the sun sign tattoos have special implications. People love to wear them when they want to flaunt their sun signs publicly. However, the sun sign designs have changed rapidly over the ages. Now, these tattoos come with different textures and colours. If you are in love with this pattern, you have the opportunity to pick up from the wide collection of sun sign tattoos. 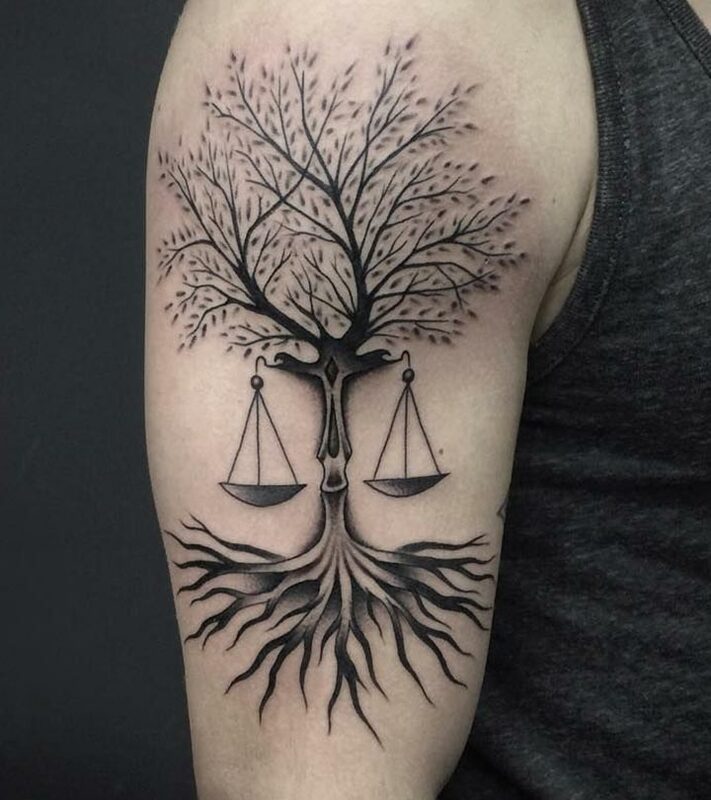 Here you can get to see the best collection of Libra tattoo designs. Let us take a glimpse of them. Miami Ink tattoos happen to be colourful all the time. 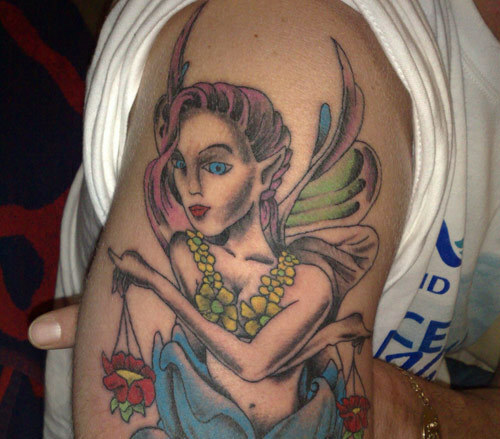 If you love colours and loud designs, Miami Ink Libra tattoo is the perfect choice for you. Available in different colours and patterns, this particular tattoo will look best in a wider form. Try out this pattern on upper arms or the upper back for a clearer illustration. 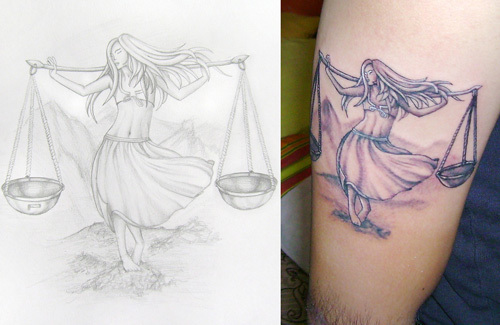 The image of the Virgin Libra is pretty good as a tattoo design. Slightly girlish in look, this pattern appeals mostly to the younger generation. Most of the Virgin Libra designs are done on bi-colour basis. This means, the designers stick with two colours at most while drawing the tattoos. A small yet powerful design, Finger Libra tattoo is best for people who prefer simple designs. Though small in size, this design attracts attention nevertheless. 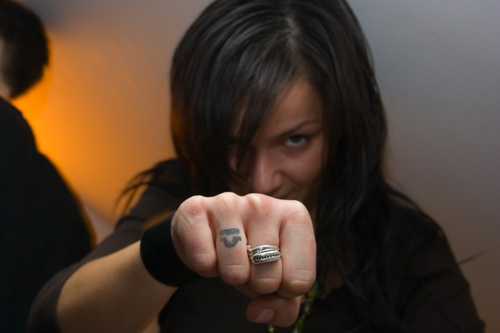 Commonly, the finger Libra tattoos are single coloured. It is either red or black in colour. 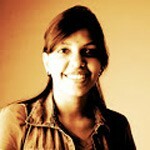 But using two colours adds personality to the design. 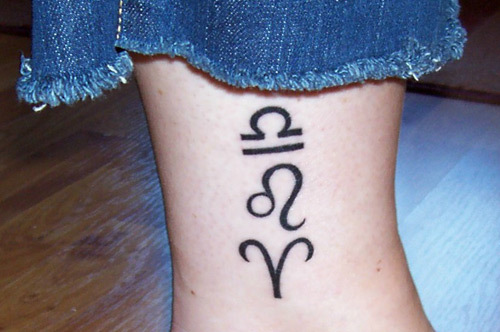 Libra sign tattoos look best on the feet and ankle. However, some wear this tattoo on their wrists as well. This tattoo is small too, though a little more complicated when compared to the Finger Libra tattoos. The common part is the application of colour. This tattoo too uses just one or two colours. Both men and women can wear this tattoo confidently. For women, it would look stylish on the ankle. The Sun has always had a special place when it comes to tattoo designing. The very symbol of the Sun radiates an aura of power and confidence. The Libra and the Sun makes a great combination that reflects the character of the wearer brilliantly. Besides that, the Sun offers fullness to the image of the Libran sign. 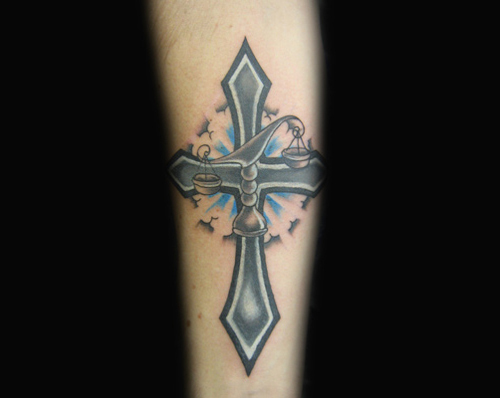 A hint of rosary prevails in this Libra Cross tattoo design. The design is the best choice for those who are religious in nature. This pattern is available in both small and large sizes. While the small one looks great on ankles, wrist, and shoulders, the large ones are fitter for upper back, upper arms, and legs. 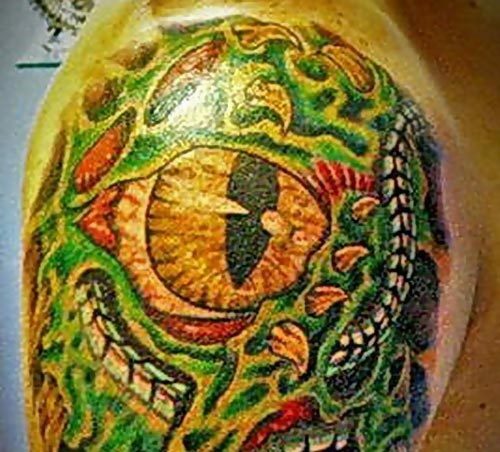 Dragon tattoo happens to be the most common type of tattoos. Interestingly, people tend to club this design with other designs as well. Dragon tattoos are bold and appealing. 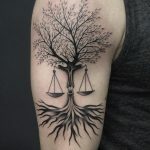 Perfect for men, the best body parts where one can wear this tattoo are upper arms and shoulder. A girlish tattoo, the Angel Libra pattern is the best bet if you are fond of colourful tattoos. 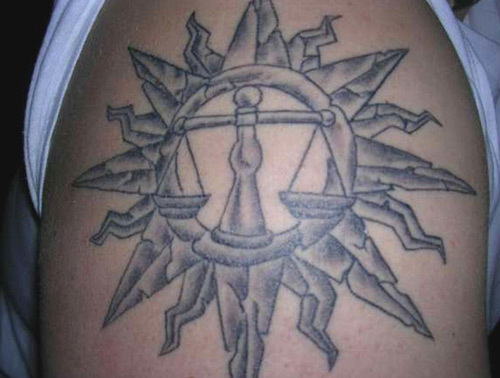 One can opt for the Miami ink Angel Libra tattoos as well. They look trendy and stylish on everyone. 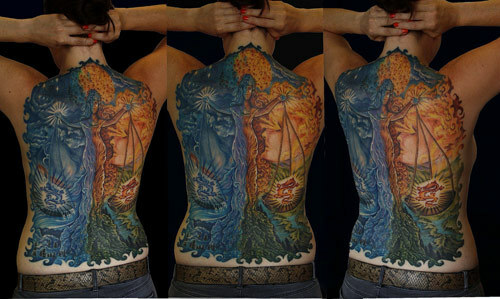 A large and illustrated tattoo, Back Piece Libra tattoo has become extremely popular nowadays. Both men and women prefer wearing this tattoo for the bright colours and meaningful illustration. 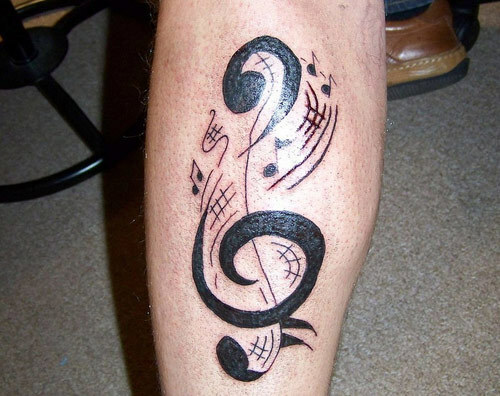 Perfect for music lovers, this tattoo is best if you love simple tattoo patterns. Try the black one; it looks best on this design. Tattooing can be addictive and real tattoo lovers can never stop at one. But it is important to know that tattoos are permanent. So before you decide to go for a tattoo, research the design, and its location. And also verify the tattoo parlour you plan on visiting. Getting a tattoo from a hygienic known place can reduce the chances of getting an infection. So, if you are certain about your choice, shape your idea on ‘Tattoos For All‘.